Montreal-based Transit app has announced its anonymous crowdsourced real-time feature called GO, is now available in all 175 cities it operates in. This means users of Transit can now watch their bus or other vehicle approach in real-time (down to the second) on a map, whenever there is a rider using the app’s opt-in GO feature. In order to encourage Transit app riders to help others, the GO feature is gamified, allowing users to gain points, plus also get notified of how many riders they are assisting along their journey. Transit says they’ve generated data for “millions of trips”, since the GO feature went live in Montreal and Victoria last year. What makes GO advantageous over transit agency data is Transit offers real-time, second-by-second location data, which is more accurate. 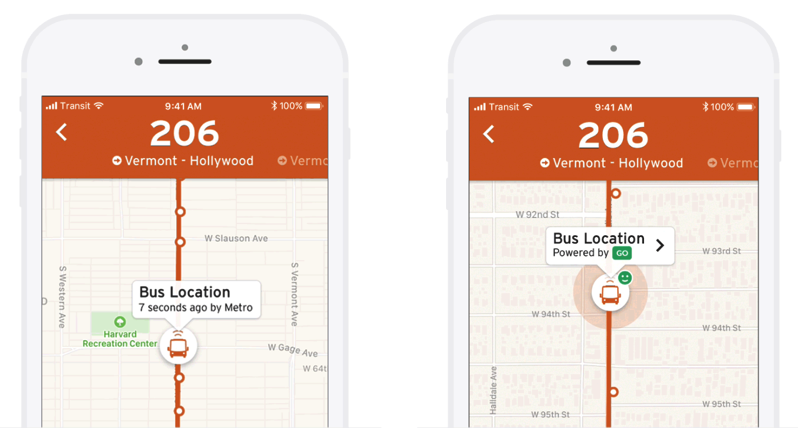 With better real-time tracking of your next bus, the Transit app’s GO feature allows riders to plan the time around their routes better. Click here to download Transit for iOS in the App Store—It’s free.